Hi i see youre in swfl im futher south i was wondering if ypu know of any mushrooms hunting clubs around? Yes, it was really great to see both of you guys! Here are my pics. Evan, I am here until early June when my Airstream will be done being built. Let's get together with Dave and foray soon. DaveW, it has been cold and wet here with only one or two warm days. Supposed to hit mid 80's this weekend, but been in the 40's and 50's. Want to meet up on Saturday? Ghost, I lived in SW Montana for 13 years so my first stop will be back in my area where I used to live to pick my porcini patch before heading on to Arizona to do a mushroom cooking demo for a regional NAMA foray and then up to Wisconsin in Sept. for the big national NAMA North Woods Foray. After that who knows! Hey Dave and Evan, I'm here in SEPA... any morels here yet? Wanna go foray somewhere? Big news on the southern front for me. I've sold my house and come April 7th, I will be going mobile for the near future. I'm selling everything but my cameras, mushroom books and fly rods, and going traveling the country in search of mushrooms, fish and photo ops. So, that means I can be where the best mushrooming is when it is in fact best. I intend to be back at my porcini patch in Montana in July and expect to be in CA, ID, OR, CT, PA, DE, WI, CO, AZ, NM and possibly ME too......lots to see and do and I'm stoked! So, I'll report in from time to time from the road but no more FL for me. 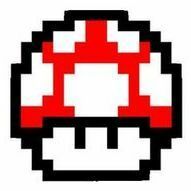 If you want to mushroom hunt together, send me a private message and if I'm coming through your area, we should meet up! A question for you Dave. I would recommend a ring flash which you can also just use as fill light. It goes around the lens so you don't have shadows from the lens. You can adjust how bright the light is, and for fill lighting, it works great. UGA Shroomer, these are specifically associated with Coccoloba tree species. What you found were most likely C. persicinus found in the Southeast. Well, maybe southern field guides. Thanks, guys. I was so happy to finally, after over two years, have a name for these beauties. It was just icing on the cake to be at the right time to be able to contribute to Bart Buyck's paper he was about to publish. He had no idea that Coccolobo trees grew in Florida so was both surprised and pleased to be able to add another new chanterelle species to the count for the US and North America. I think we are now up to 29 named and described species in North America. Can you believe it? Questions on "tasting" mushrooms to identify fungi. 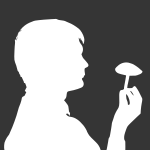 Tasting without swallowing is perfectly fine even with deadly amanitas. It doesn't hurt you one bit to take a piece in your mouth between your front teeth, taste it with your tongue and then spit it out. It is necessary to identify many mushrooms and just plain won't hurt you if you don't swallow it. Just like handling deadly poisonous mushrooms won't hurt you. 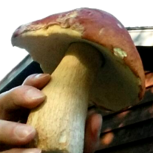 One other thing, some of the best tasting mushrooms I've ever eaten were Russula's! Deb Woods is in New Smyrna Beach, Florida. Is there Anybody else in this area? It's abt 20 mi. south of Daytona Bch. I have no idea. Not many Florida members I think. I'm in Sarasota. I see a few donations have come in, but more is needed. Please, keep them coming. This is YOUR forum, so YOUR help is needed. Thank you all! Hi guys, as you all know, I was the sole owner and admin of this forum for over the last 6+ years and from time to time I came to you, the ones you use this forum the most, to help keep it up and running. It is not a huge expense, but we as admins, work all the time at keeping this forum working properly so you all can enjoy it and benefit from the resourses and ID help here, not to mention camaraderie. Once a year or so, when we ask for financial assistance, it's because we have real expenses that have to be paid in order to keep this site up and running. We can not afford to just do this out of the goodness of our hearts. We donate our own time and don't get paid for anything we do, so when it comes time to renew the licenses, URL registration and pay for the hosting, we need you guys to step in an help us out. If we are going to be forced to cover all the expenses for everything, then this site may have to shut down. So, please give us a hand here and make a donation. It doesn't have to be a big one, just $5, $10, $20 and if everyone would do this, we would meet our goals for the year and not have to ask you again. You can donate any time, not just when we ask you to. We accept paypal, bitcoin or even a personal check. We hate having to ask you for donations, but it is necessary. We are not made of money. We do enough keeping things looking nice, weeding out spammers, making sure the site works correctly and doing all the necessary updates as they come along. It is kind of a thankless job, but we love this site and know you do to. So now is your time to show how much you care, and give Jason a hand so he can keep things running the way we expect them to be run. Thank you Jason for your time you've put into so far with the upgrades and I hope you will enjoy your tenure as the new owner and admin of this great forum. OK...let's go folks, helping hands are needed!